Hawick schoolchildren are to be lectured about hate crime and what is – and isn’t – acceptable behaviour following seven racist incidents being reported to police in the town last month. Details of the incidents were given in a monthly police report presented to Tuesday night’s meeting of Scottish Borders Council’s Teviot and Liddesdale area forum, held at Hawick Town Hall. In her report, Inspector Carol Wood, not present at the meeting but represented by a police sergeant, stated that the seven racist incidents had stemmed from individuals reporting concerns over the actions of others. The incidents varied from inappropriate stickers being placed on takeaway shop windows to silent political protests and comments made to Eastern European residents. Youths were responsible for a sizeable proportion of the offences committed, so appropriate education measures are being taken, said Inspector Wood. Speaking to the Hawick News this week, she said that a total of seven incidents was up on what police would normally deal with on a monthly basis. “It is a slight increase, and youths were responsible for a few of them,” she told us. “We are addressing these, firstly by detecting them, and we are also involving our local schools officer. Elsewhere in her report, Inspector Wood highlighted an increase in drink-driving in the Borders, with people being caught in rural locations, having been drinking at a village pub and then choosing to drive home. She told the Hawick News: “We caught quite a few drink drivers in August. “It might have been to do with nicer weather, and people are tempted, thinking they will get away with it, but they will get caught eventually. Other policing issues highlighted in her area forum report included an increase in patrols by officers of so-called hot spots where people were identified as being involved in the misuse of illegal drugs. During August, four individuals were reported for either possession or production of drugs, and there were six further incidents reported by members of the public that had led to further intelligence on various individuals and premises within Hawick. 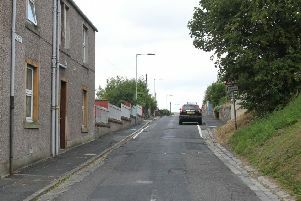 On traffic matters, several vehicles received parking tickets in the 30-minute zone in Hawick High Street as well as in North Bridge Street and O’Connell Street, she said. Four males were also reported for violent crime incidents and a number of high-visibility police patrols were carried with the aim of deterring disorder and providing public reassurance, she said. Throughout August, there were three fixed-penalty tickets issued and three official police warnings given for anti-social behaviour, as well these as other individuals being reported to the procurator fiscal. Other issues involving police in August included a building supply company on the Burnfoot Industrial Estate being targeted by thieves. There were also three reported break-ins at domestic premises, one theft from a vehicle and a theft of equipment from a trader at the Common Haugh, the meeting heard.